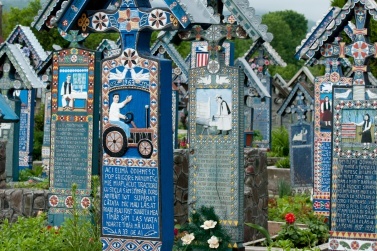 Near the city of Sighetu Marmatiei, in Maramures county, just four kilometers from the border with Ukraine, are Sapanta and its famous cemetery, the Cimitirul Vesel, known as the Merry Cemetery. 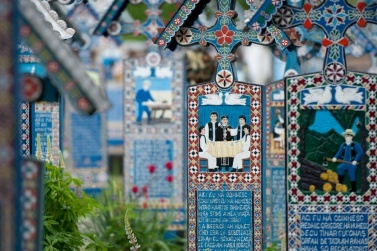 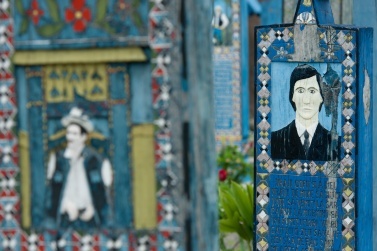 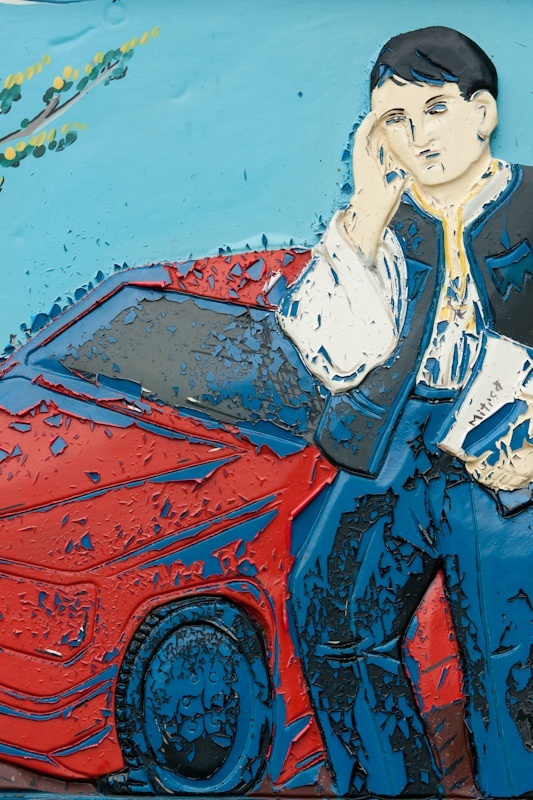 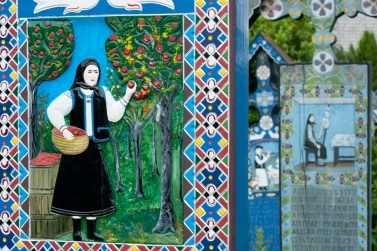 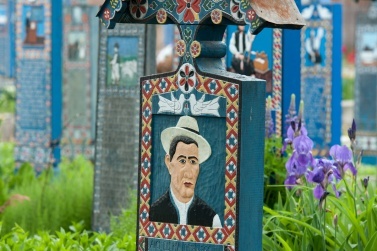 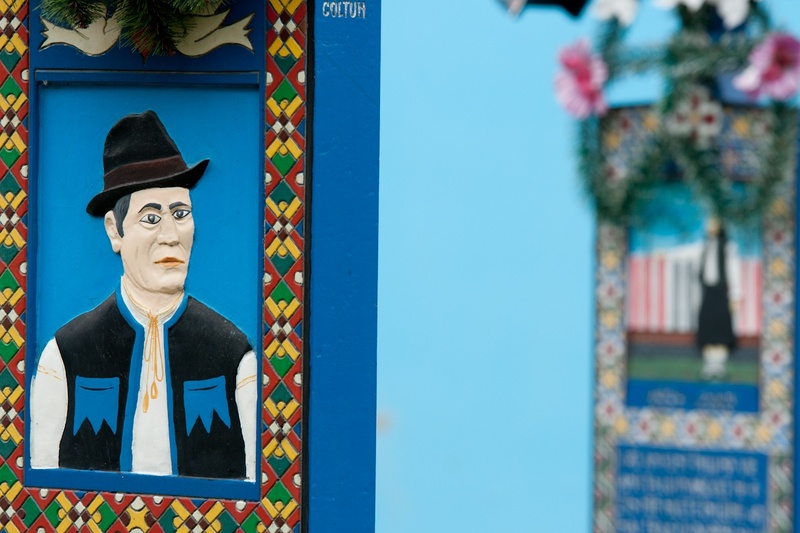 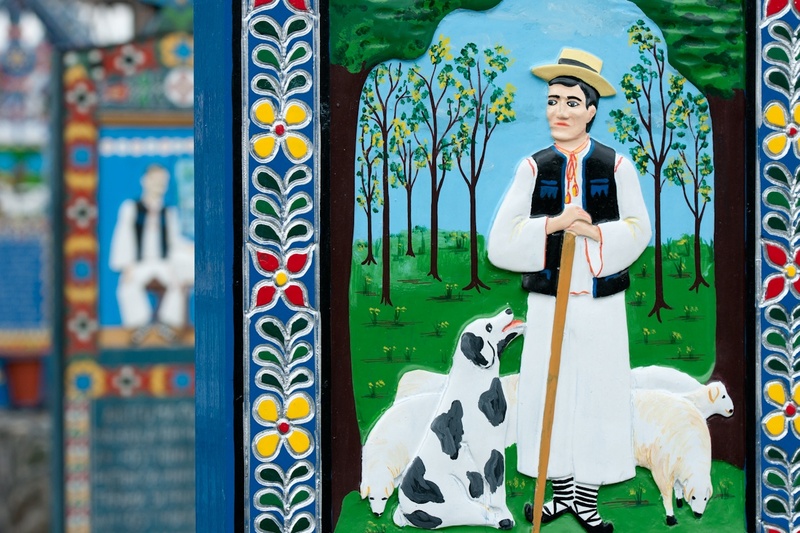 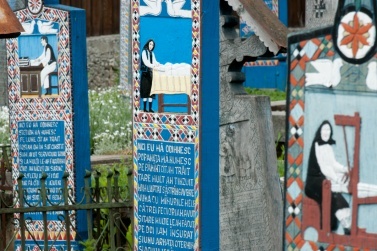 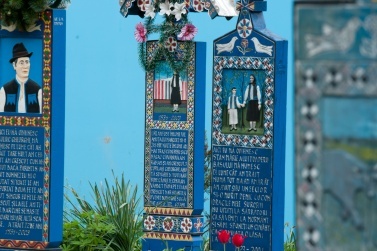 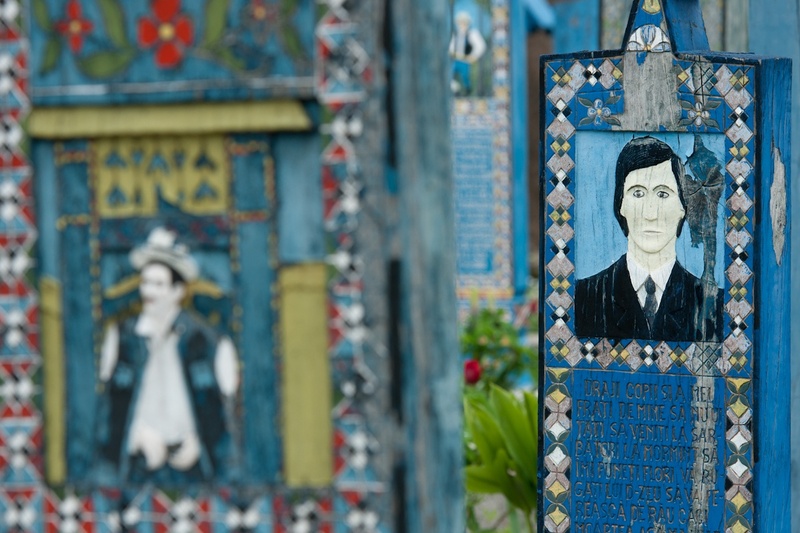 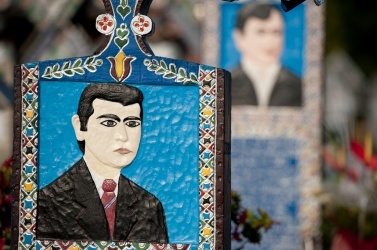 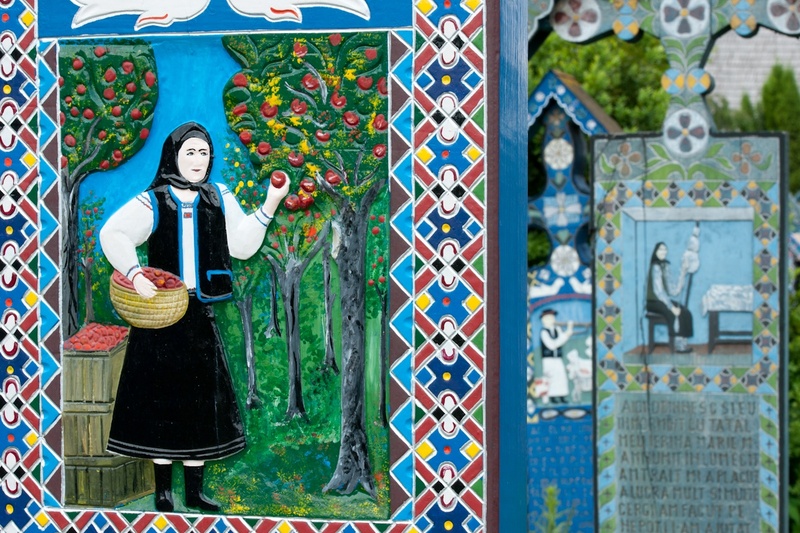 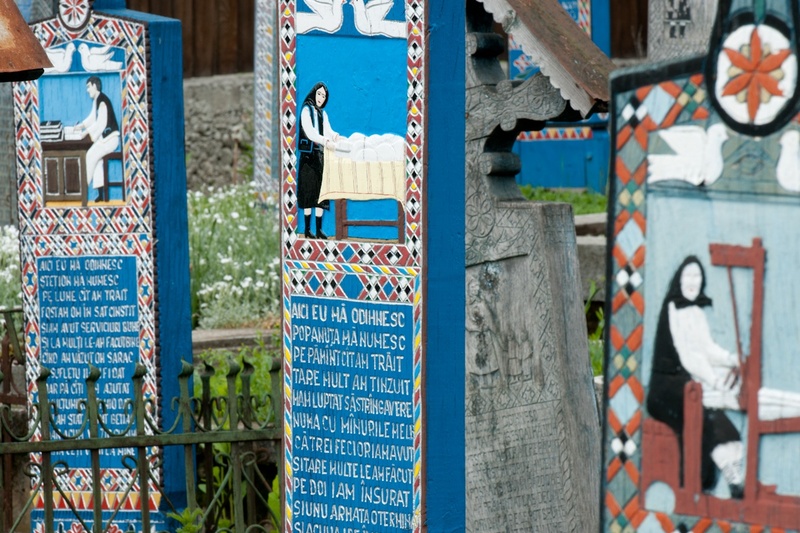 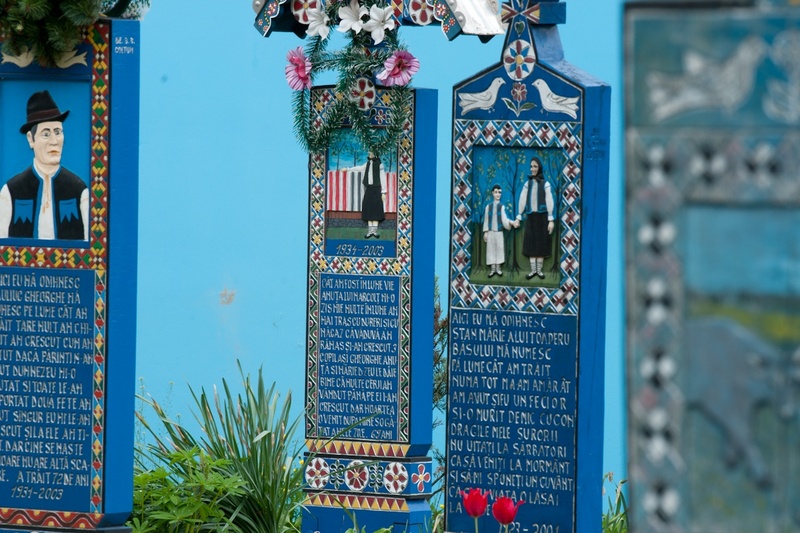 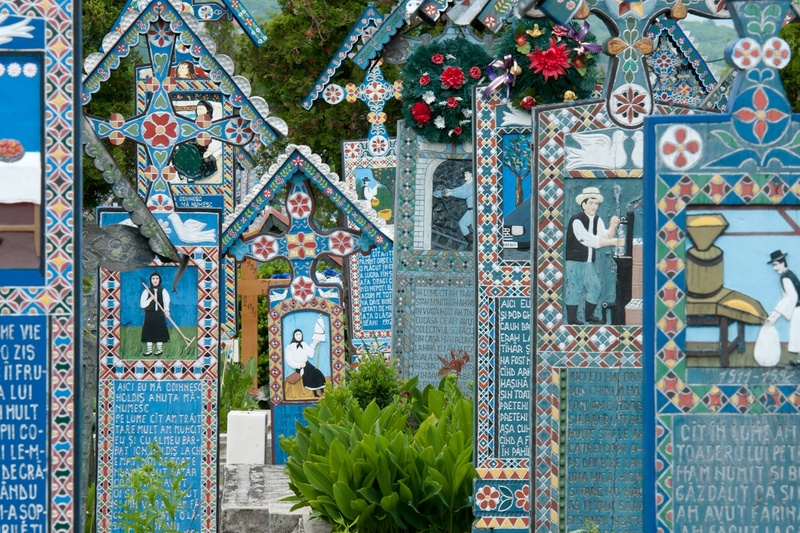 More than 800 oaken tomb crosses painted in bright colors, especially blue, and showing carved epigraphs distinguish this burial site, a veritable open-air museum. 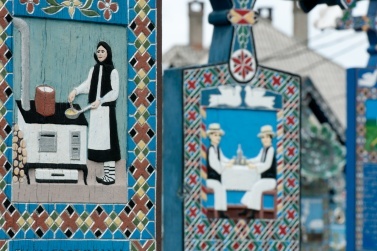 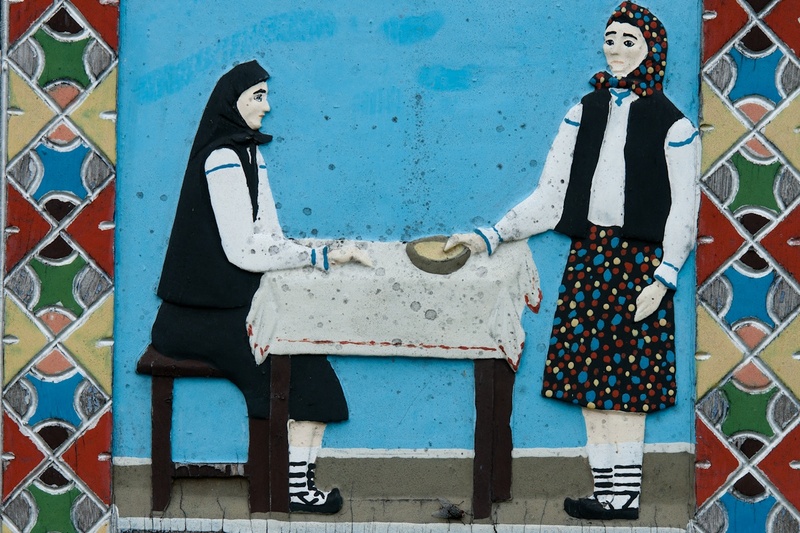 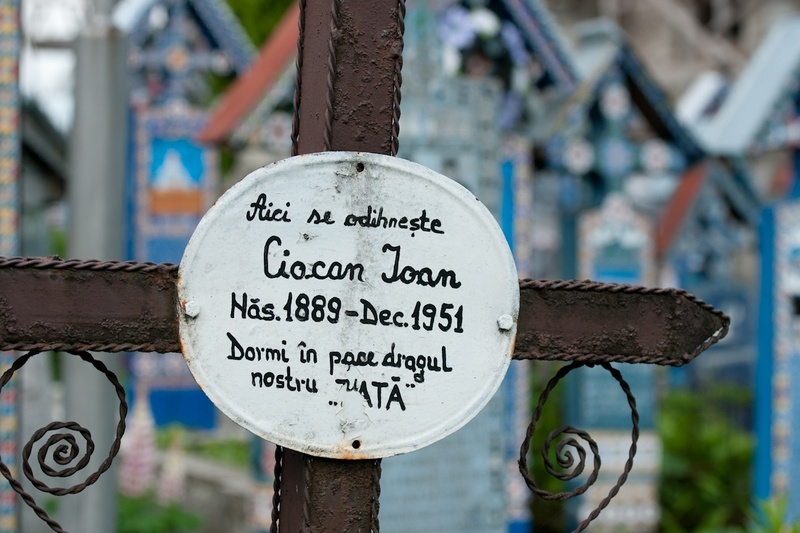 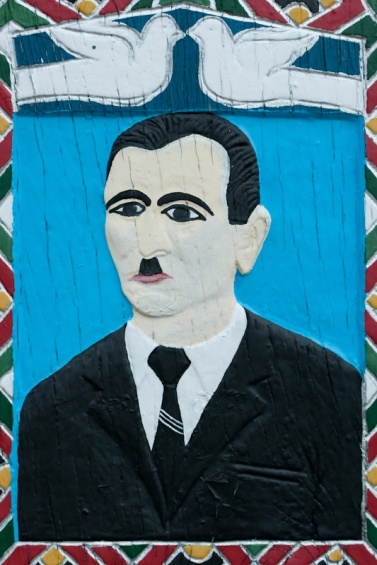 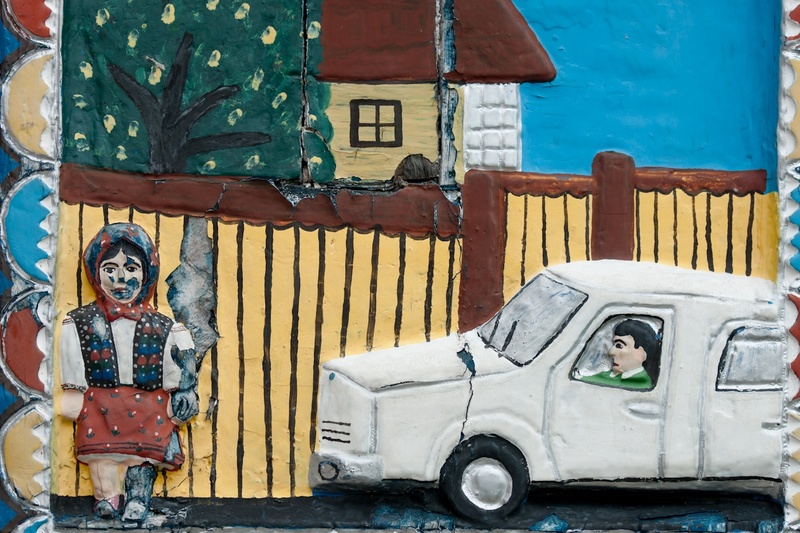 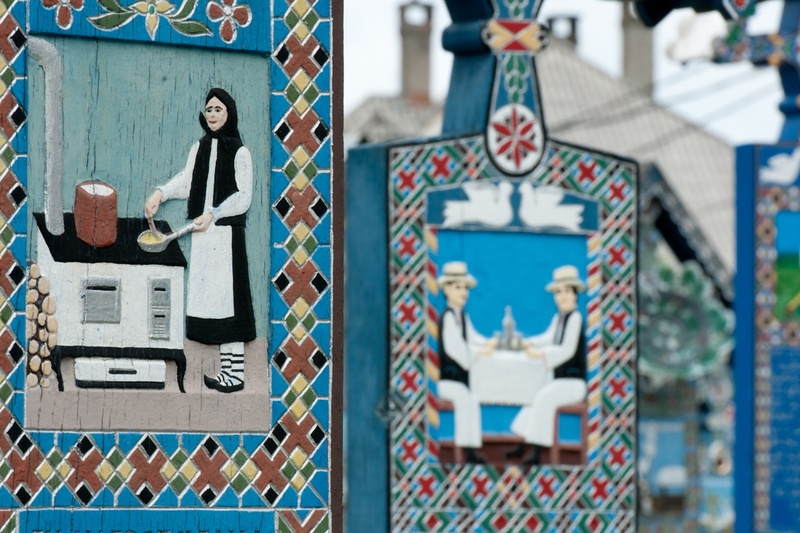 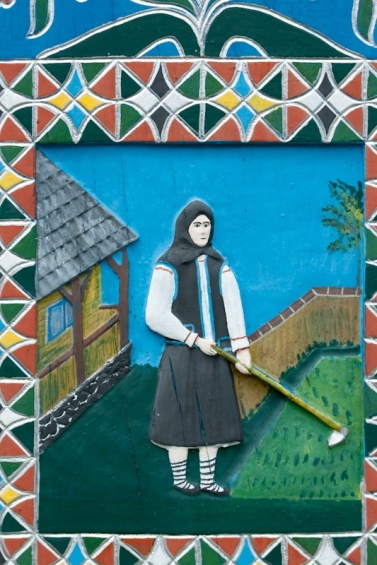 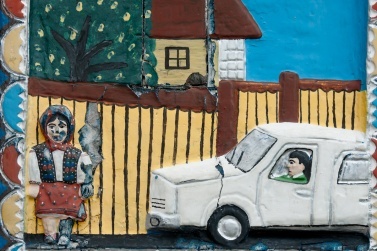 This tradition started in the mid-1930s at the hands of Stan Ioan Pătraş, a wood craftsman, and goes back to the belief of the inhabitants of the city that death is a beginning and not an end. 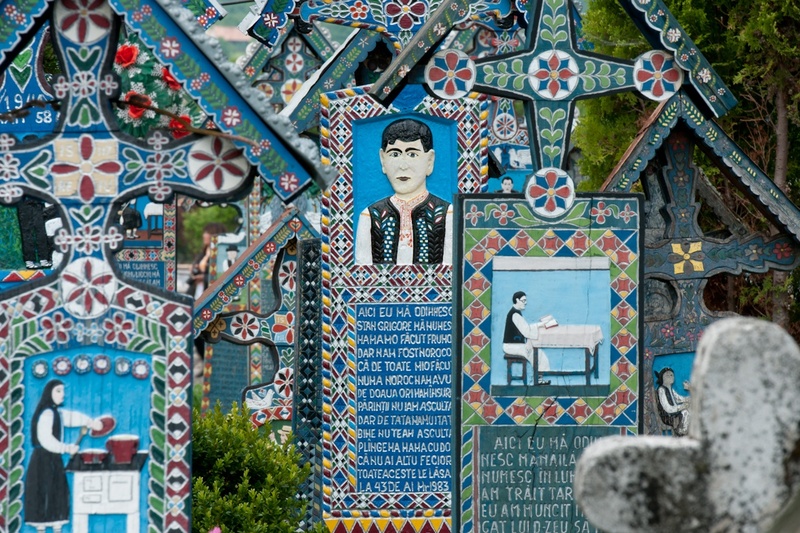 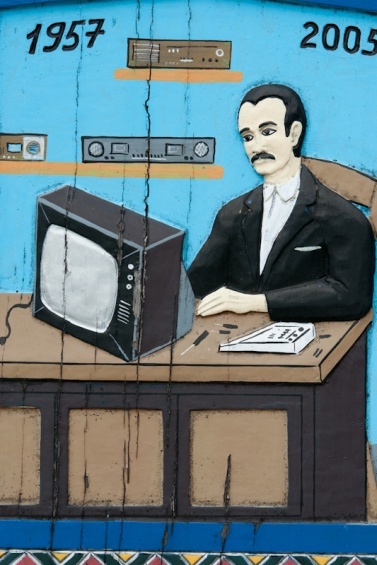 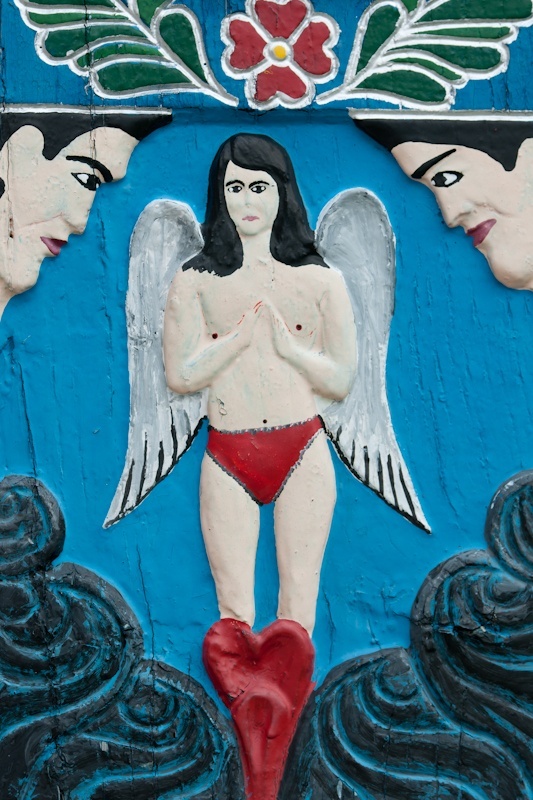 Each cross is different, the carved images capture one of the characteristic attitudes of the deceased and the ironic and satirical poems, written in an archaic language typical of the oral tradition, are a message to the living world. 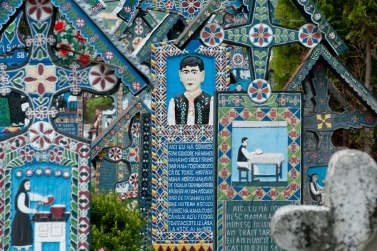 At the top of each cross, there is a bas-relief with a scene depicting the life of the deceased. 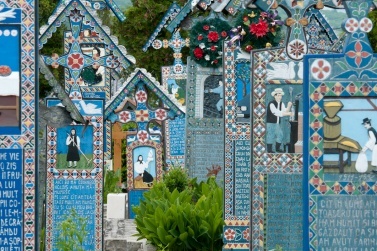 The scenes are simple and naive in style, but immortalize an important aspect, or a virtue or a weakness, of the deceased. 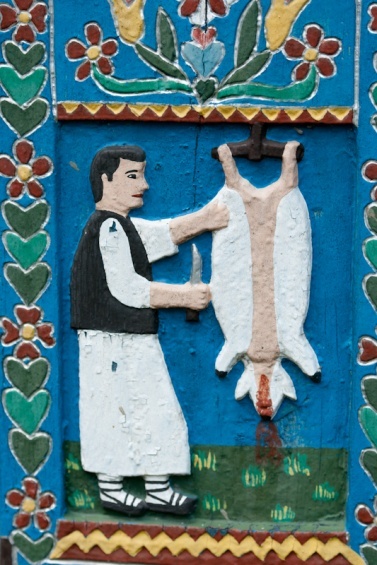 There are women spinning wool, weaving carpets, baking bread, and men carving wood, plowing the land, grazing sheep, playing their instruments, slaughtering animals slaughtered, and so forth.